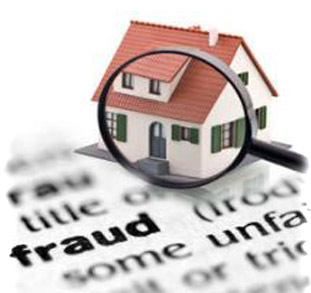 Increased danger of property frauds in the UK. In light of increased number of property frauds, the UK Land Registry launches a campaign to inform owners, as well as buyers of the risks and mechanisms of foul play on the property market. Experts warn that estates,which usually attract the attention ofswindlersare empty, tenanted or mortgage free and individuals at a higher risk of fraud, are either owners who live abroad and rent their property or elderly placedin long term hospital or residential care.In 2010, 30 of the 71 forgery claims reimbursed by the Land Registry were by non-family members. Of these, 23 involved properties with an absent owner and amounted to £2 million out of the total £7.3 million paid for fraud and forgery claims. The report issued by the Land Registry, advices owners to register their property, which would entitle them to compensations in case of fraud and financial loss. Already registered landlords should update their contact details and if they feel that their property is at risk, they can demand a legal restriction to be issued on their estate to prevent sale or rent of the property without the agreement of the true owner. Since February, there is no longer a fee for home owners who wish to register this restriction, as long as they do not live in the property they wish to protect. Owner, whooccupy their estate still have to pay a small tax. Throughout the last four years the Land Registry has worked to implement a number of safeguards to protect home-owners and to tackle fraud and identify and take corrective action when it has happened. But home owners must also be vigilant and play their own part in protecting their properties against fraud.